– Glass type P2A EN356 and thickness 11mm. – Glass type P4A EN356 and thickness 14mm. 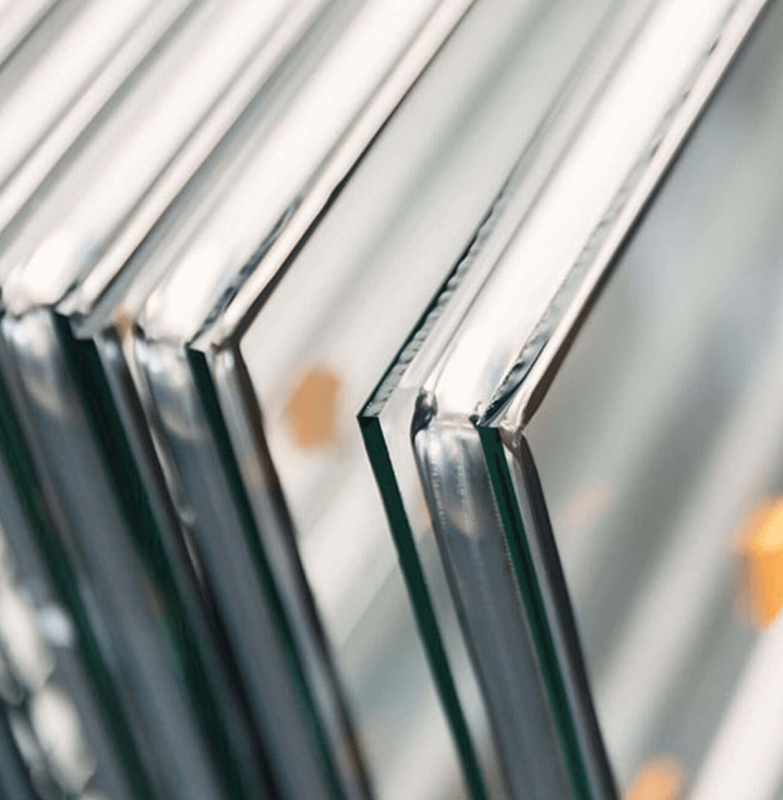 – Glass type P6B EN356 and thickness 27mm. – Glass type P7B EN356 and thickness 21mm. – Glass type BR3 EN 1063 and thickness 27mm. 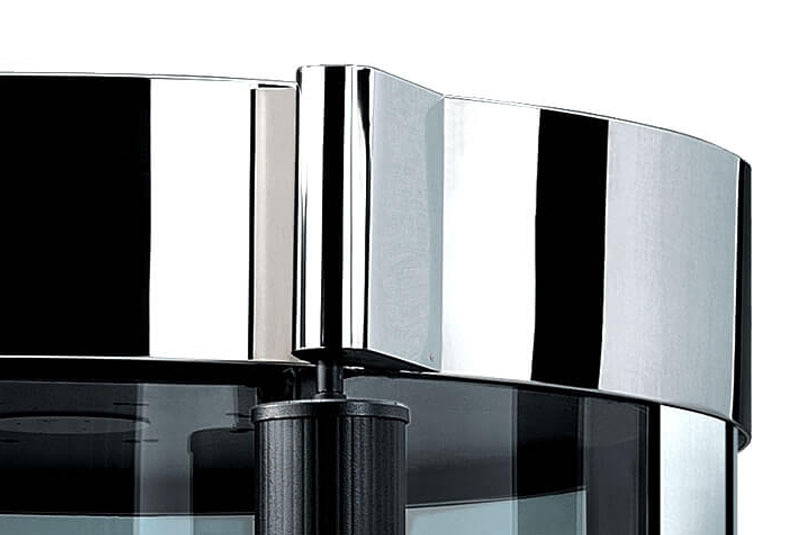 – Glass type BR4 EN 1063 and thickness 31mm. Each Portal is fully assembled to run a functional test (24 hr min.) to check that everything works perfectly. Only after positive test results, we carefully dismount it and pack the parts in wooden resistant crates. K Version compact crates allow easier handling during transportation to installation site. They can pass through small entrances, corridors and lifts preventing building modification (i.e. knocking down walls, removing existing windows or doors and so on). The K version is available in S or R version. 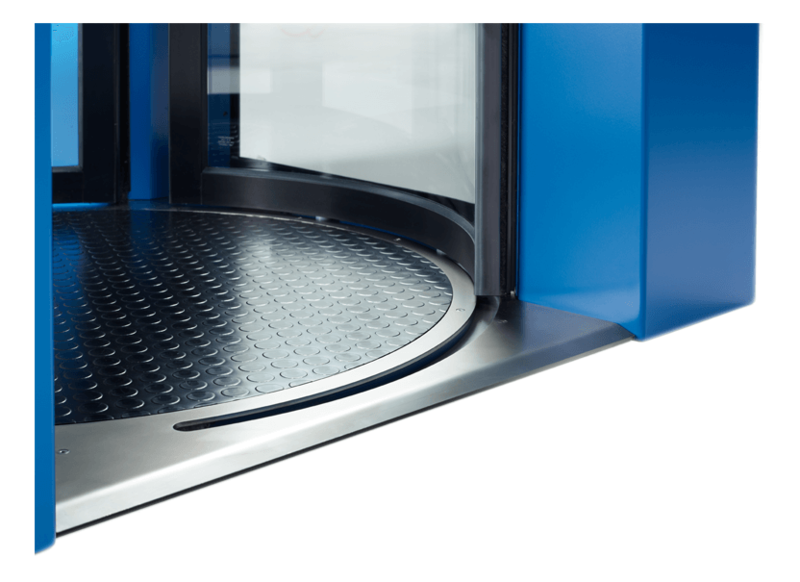 The portal has a 12 mm floor guide and does not require any break into the floor. You can easily lay the Alluser security portal on the floor and fix it with screws. The overall height of the Portal is 2320 mm. Advantages: no breaking in the floor or unaesthetic Access Entry Ramps are required. 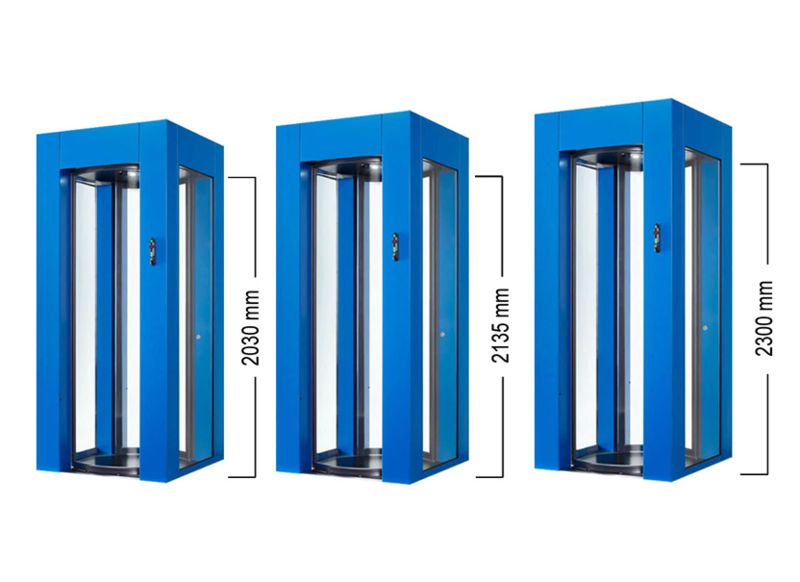 The Standard Internal Height of our Portals is about 2030 mm. 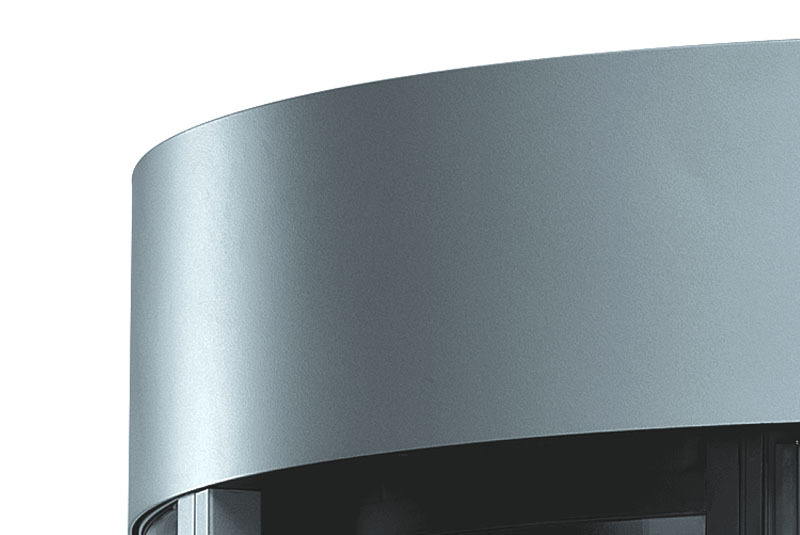 – 2135 mm (7′) Internal portal Height. 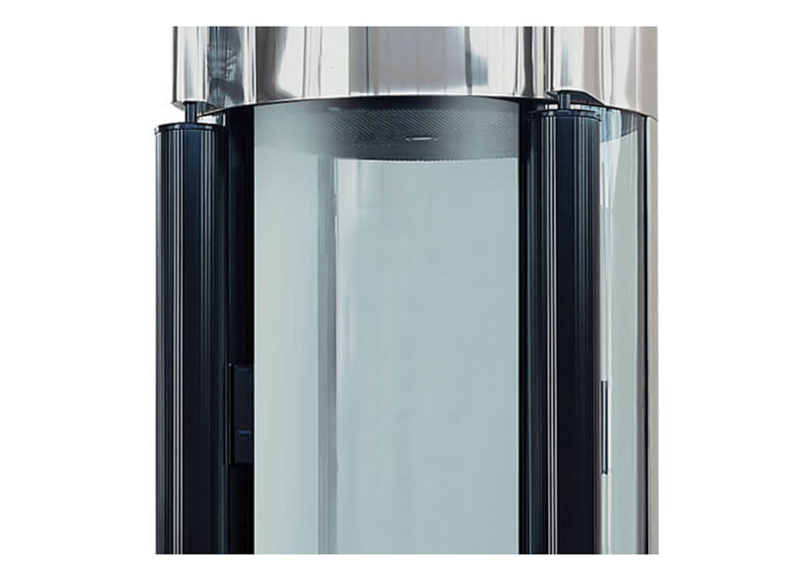 – 2300 mm (7’55) Internal portal Height. Class 3 resistance has been tested and certified by an accredited EU Test Laboratory against mechanical manual tools among which long screwdriver, set of wood and plastic wedges, crowbar, pliers, hammer, knife, tweezers, jack, set of steel wire hooks. Intended severity risk/attack: Deliberate forced entry of a well-protected domestic residence or commercial property using a wide choice of tools with little regard for noise. Class 4 resistance has been tested and certified by an accredited Test Laboratory against attack of an experienced thieves, security as in Class 3 + resistance against tools among which hacksaw with HSS blades, axe, heavy hammer, plate shears, bolt cutter, electric drill. experienced attempts at forced entry of commercial premises with no regards for noise. For a full secure portal cladding you can also add Brushed Steel Looking Sliding door frames (Aluminium or Steel made depending on the selected type of glass). This option is not available with Metal Detector. For a full secure portal cladding you can also add clear anodized Aluminium Sliding door frames. This option is not available with Metal Detector. For a full secure portal cladding you can also add Polished Steel Looking Sliding door frames (Aluminium or Steel made depending on the selected type of glass). This option is not available with Metal Detector. 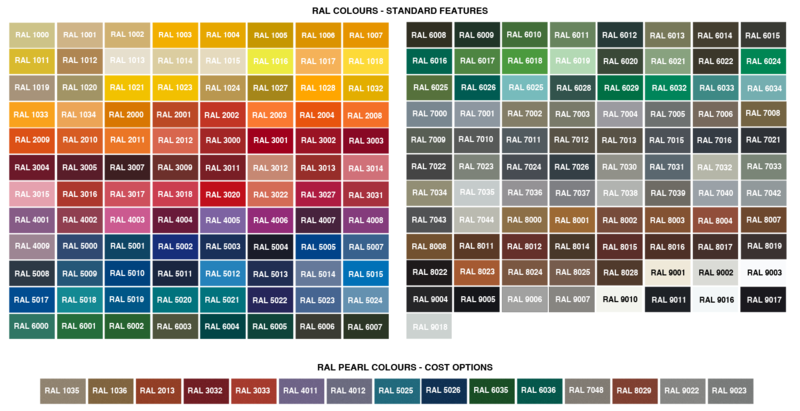 You can customize your portal by choosing between a broad range of RAL code colours (see the list of available RAL colours – standard features). 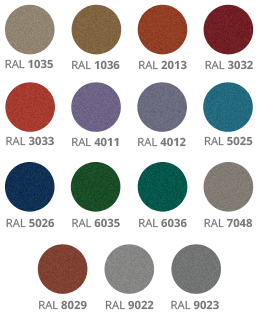 However we also offer the possibility to choose one of the following pearl RAL colours! 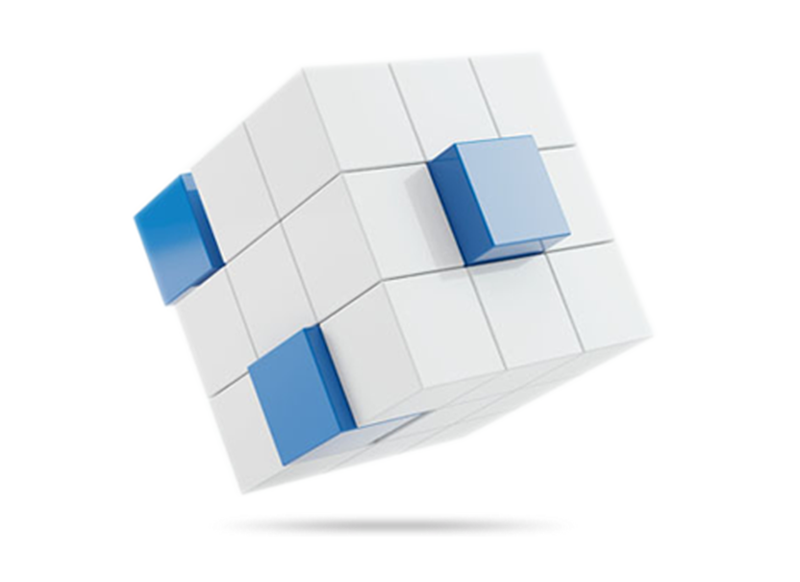 You can customize your portal by choosing between a broad range of RAL code colours. 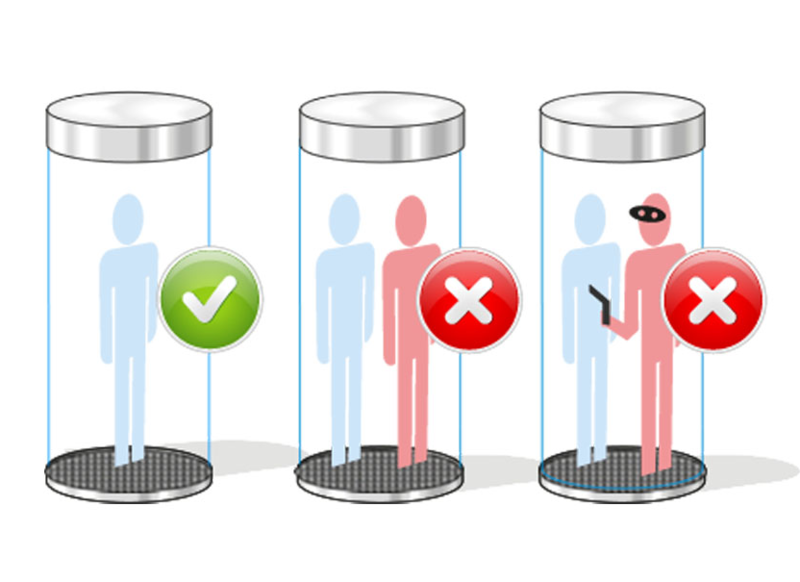 Stop unauthorized people to sneak in your restricted areas, together with an authorized user. Tailgating is one of the most common security breaches that can cause revenue and valuable assets’ loss as well as sensitive data leakage. 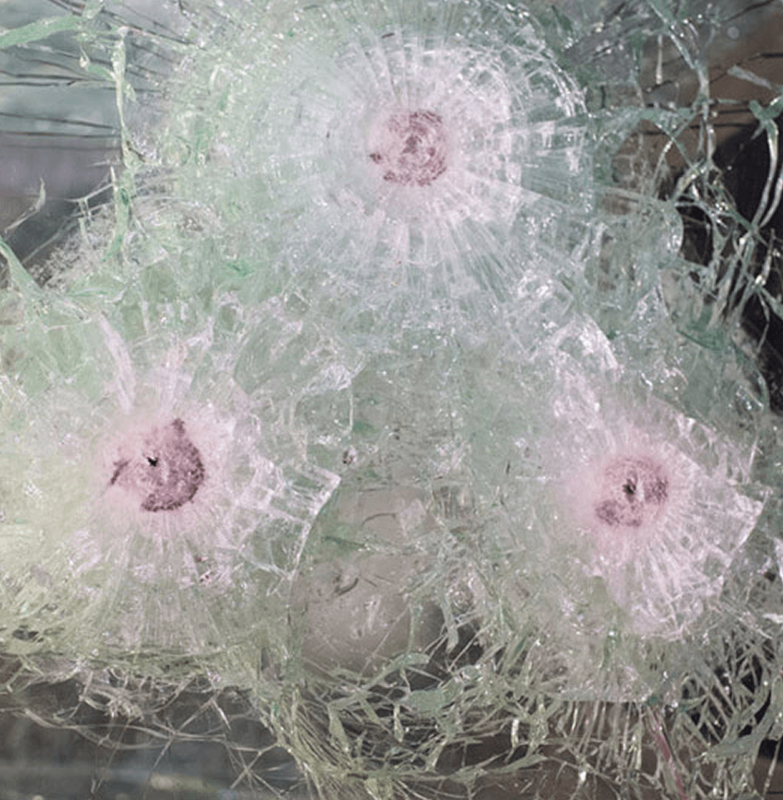 Moreover it can harm both your property and occupants. Alluser Anti- Tailgating APD, integrated in Alluser Security Portals, keeps you protected by eliminating this threat. Add Alluser Two-zone pressure mat to introduce an extra verification parameter to your Tailgating detection. Each Alluser security portal comes with IR presence sensor as a standard features. However there might be some environmental interferences which could affect the proper working of the IR sensor (e.g. high visibility clothing, some biometric readers, presence of bright colours nearby portal, etc.). In those cases it is recommended to add an extra presence sensor like the One-zone pressure mat, which detects the person inside the cabin by using pressure sensors. In the last 40 Years Alluser Security Portals’ Metal Detection has proved effective in reducing violent crime actions by preventing armed people to enter in public / private building. The system denies access to portal user carrying one or more objects belonging to a large range of threat objects – composed of magnetic, non-magnetic and mixed alloy metal weapons – thus eliminating one of the most serious threat to security (common installations: banks, jeweler shops, data centers, private companies, prisons, Courthouse etc.). To satisfy your needs of controlling the same Alluser Security Portal from a second control desk. The Additional Control panel has the same full functionality of your Main Control Panel, with the exception that the Main Control Panel has the priority on potential simultaneous commands. The Web Lan Control permits simple and intuitive control of the Secure Portal through the web/intranet. This cost option transforms the Portal into an IP address, therefore you can access to the portal through the LAN by using any computer and a browser. All portals have a different IP address. Attention: Security of your entrance would depend upon your Intranet/Internet security level. 3. it enables the “Cleaning Mode” to allow an easy cleaning of the portal. 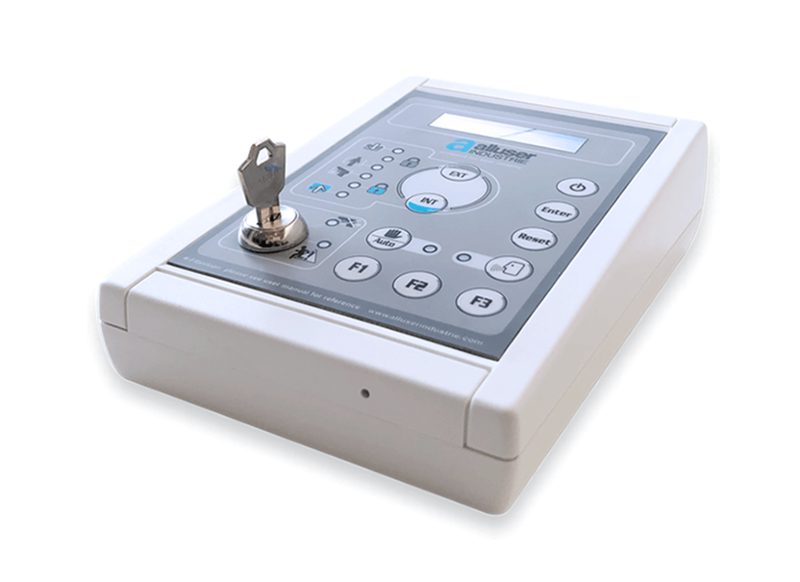 Each Alluser Security Portal is provided of one Mechanical Emergency Unlocking device. Additional emergency levers can be added upon request to satisfy your special needs. These levers can be provided of a key lock so to grant the security. Add an internal to the portal intercom (PTT), to communicate with the user inside the security portal from your remote control desk. The interior intercom is connected with the Control Panel (standard feature) and allows the communication in between the interior of the Portal and the Control panel. It works up to 50 mt in between security portal and control panel. Any customization requires a proper safety. Each Alluser Security Portal is provided with double safety control in the sliding doors movement, to prevent from injuries. In case you need to use our portal for a customized application which would require non-standard safety (i.e. people with visual impairment, bikes) you can simply share with us your requirements, and we can add extra safety sensors. 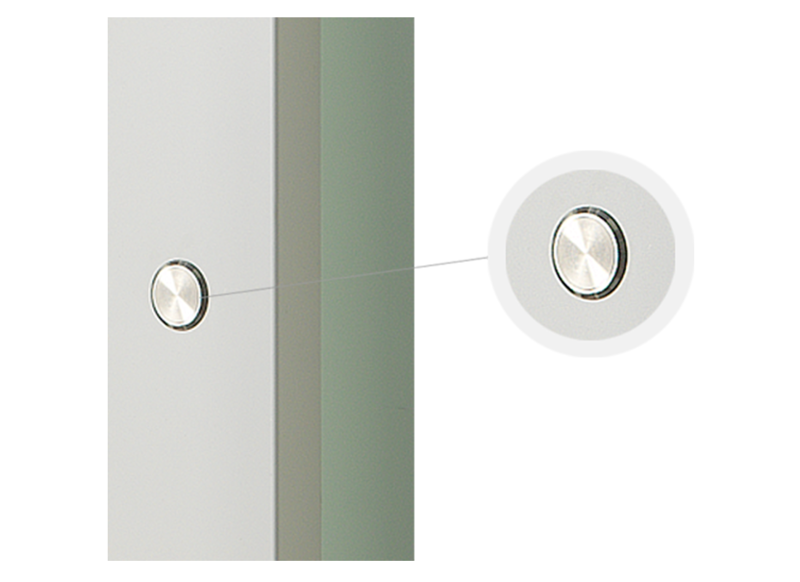 To increase the security when the Portal is in night mode, it’s possible to add an extra mechanical locking procedure. The security manager switches the security portal in night mode from the control panel or service mode, and last exit the secure area (either using the secure portal with first and last transit procedure, or an alternative exit). At the non secure side of the security portal he locks the non secure side mechanically and denies any automatic door opening command by simply turning the night lock key. Alluser security portals are not designed to be exposed to weather agents. For Outdoor installations it is always mandatory a protective building canopy above the portal. Only then Rain Cap Top Cover is a suggested option. 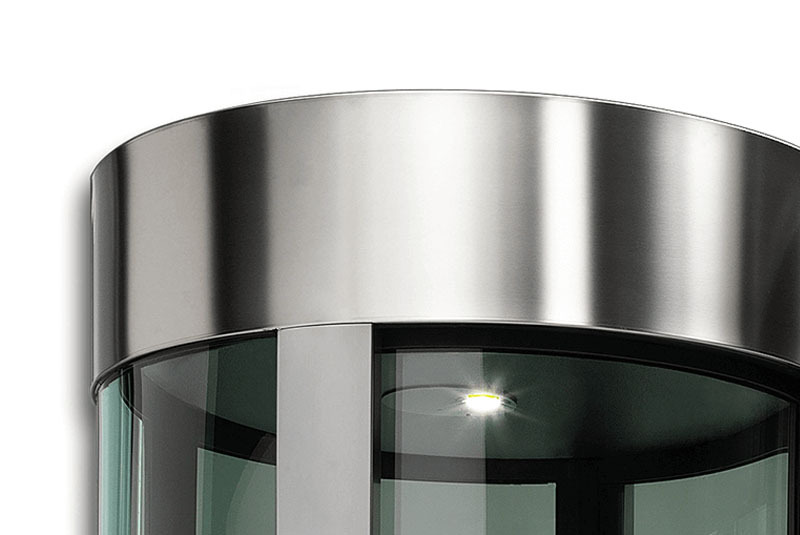 Included with this option, non secure side traffic light is supplied with a water resistant treatment. Reinforced top canopy cover when exposed on the non secure side and light weight secure side top canopy cover accessible with key locks only. 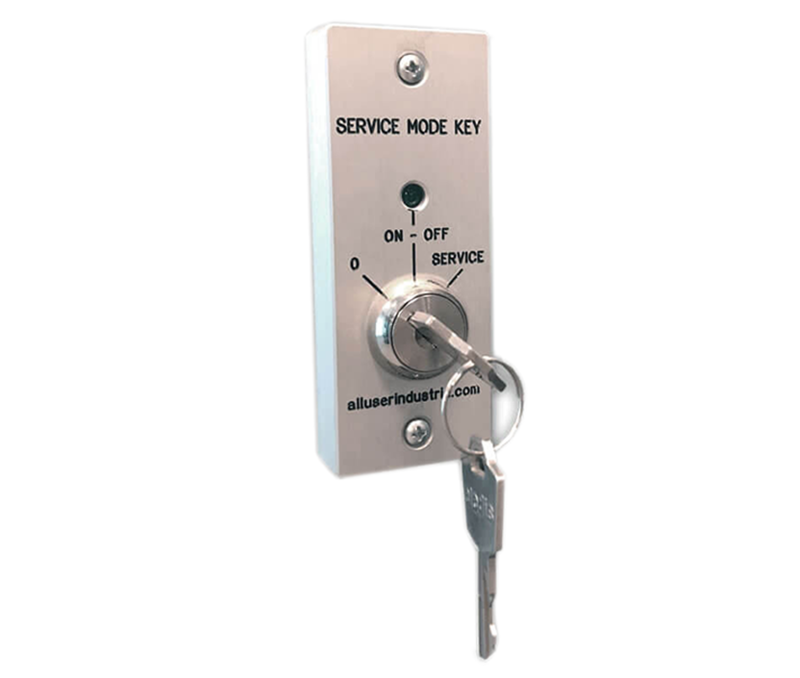 Alluser rescue push button is a vandal resistant brushed steel push button inside your security Portal. In case a user feels he is waiting too long inside the portal with both doors locked, then user can push it to open the portal door which last closed, and safely exit the portal. Please note that this Rescue procedure is managed by an electronic board and it is not a mechanical unlocking device. Don’t stress you out thinking where to fix your A.C. device inside/outside the Alluser security portal. 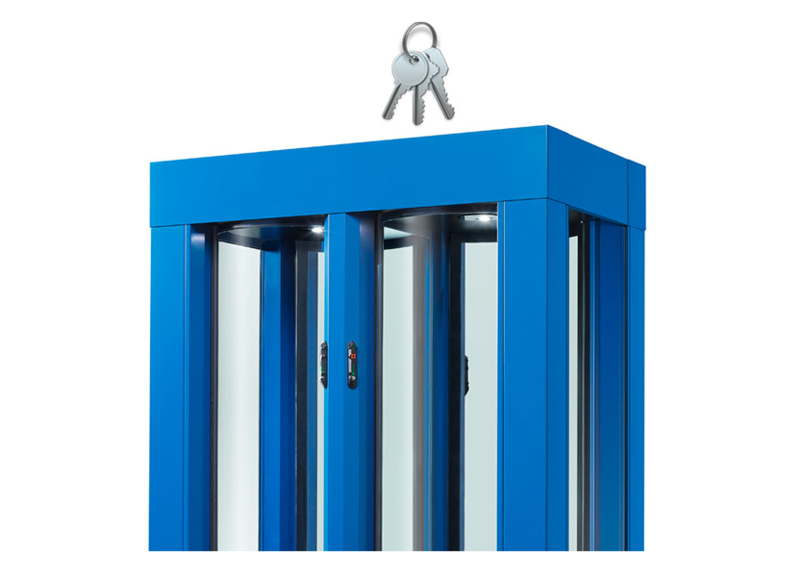 – External support brackets provides the proper place for your access control device without occupying security portal entrance. – Internal Alcove accommodates the installation of your optional internal access control device, safely preventing finger trap inside the security portal. Take it easy! Connect your Alluser Secure Portal to your building features. Connection Board provides a wide range of IN/OUT dry contact signals, which allows an easy interface in-between the Security Portals and your Building Features (i.e. access control managing system, fire alarm, tamper alarms, whether user properly accessed to your secure area or the user got rejected because of a security violation, etc.). For every signal an LED indicator light provides an immediate visual feedback of the status of the function, to help for an easier integration. The security manager switches the security portal in night mode from the control panel or service mode, then he pushes the secure side traffic light to start the procedure and uses its own authorization Key (Mechanical Key, Proximity Key, Electronic Key). 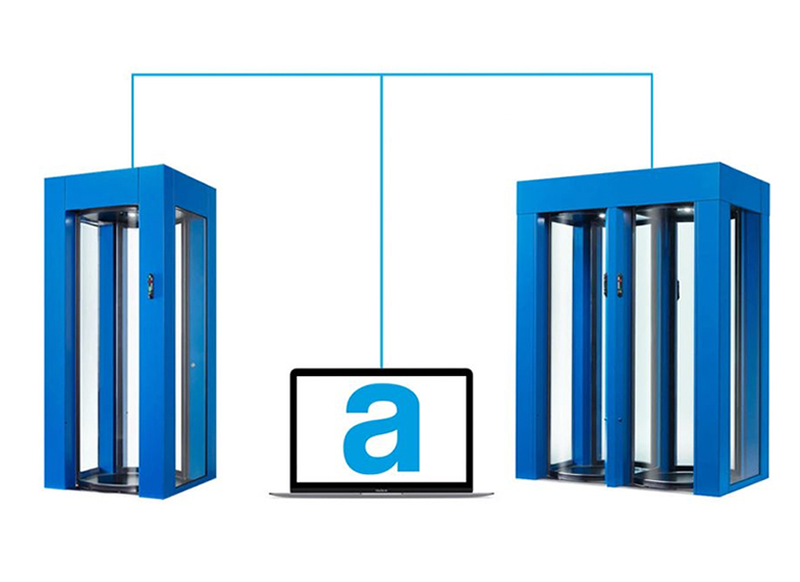 Alluser security portal allows only one transit in the way out so that the security manager can leave the secure area. After completing the transit, the security portal goes back to night mode (both doors locked and portal empty). How First Entry works: The security manager pushes the non secure side traffic light to start the procedure and then uses its own authorization Key (Mechanical Key, Proximity Key, Electronic Key). Alluser security portal allows only one transit in the way in so that the security manager can enter the secure area. After completing the transit, the security portal goes back to night mode (both doors locked and portal empty). Once inside security manager turn on (stand by mode) the security portal to allow the automatic transit as defined in access protocol.